Your foot is a remarkable machine. From the moment you get up to the time you go to sleep the foot is in constant motion. Your foot, with its 26 bones, numerous ligaments, tendons, muscles and skin not only moves you, but supports all the pressure and weight of your body as much as 15,000 times per day. It’s an impressive miracle of engineering, and one that is often ignored. Orthotics are custom made devices that fit inside your shoes to help your feet perform at their peak efficiency. 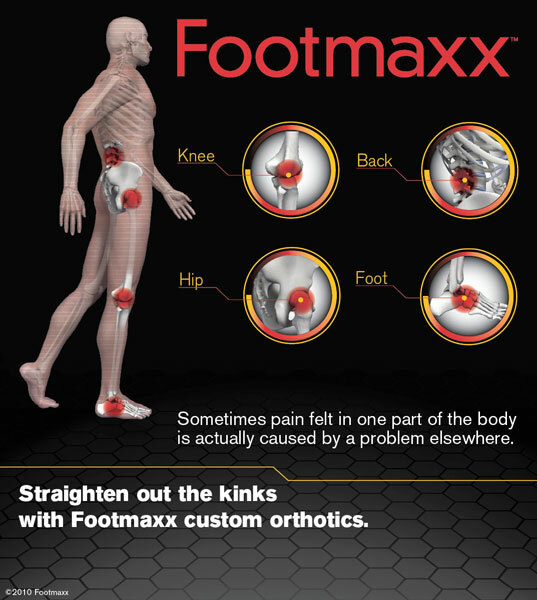 They can control the way your foot functions or add support and protection and increase comfort. Your custom orthotic can now also be incorporated into name brand footwear* providing exceptional comfort with style! We offer these products at a fraction of their cost elsewhere! No two feet are alike, and neither are your orthotics. The doctor will determine your specific needs based upon your medical history and examination with consideration paid to the physical demands of your occupation and daily activities. Based on years of clinical studies, orthotics have proven to relieve pain, realign the body and support foot function, bringing back pleasure to daily activities. Consultations are always complimentary. Talk to us about corrective foot orthotics. Your feet will thank you!